Modern curtains play a major role in making the room noticeable. 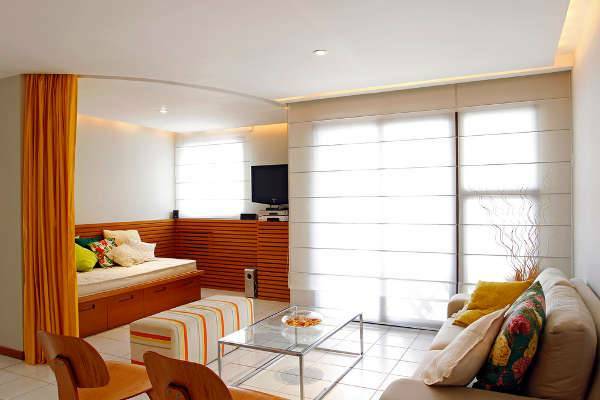 They give privacy, decorate a room, control natural light and provide thermal functions. With so many fabrics, colors and patterns available to date, it can be a daunting task to choose modern curtains which include kitchen curtains that complement décor and express your style. Whether you prefer sheer or sash, in this list there is a modern curtain that will suit every room in your home. Shower curtains are one of the last things people consider when remodeling a house. Modern bathroom curtains which are practical and pleasing to the eye will make showering an enjoyable process. The material you choose should be mildew and bacteria resistant. White curtains are perfect for making the bathroom brighter and classy. 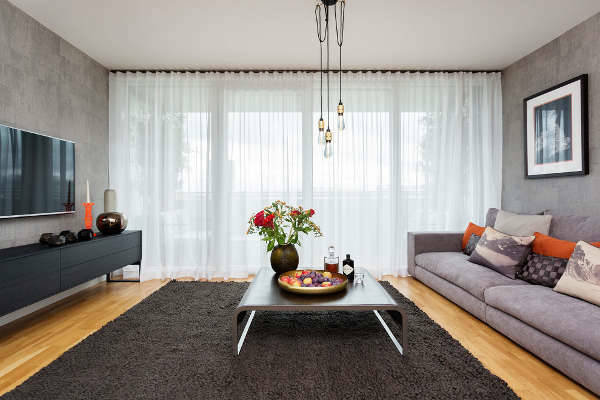 Modern sheer curtains tend to come in neutral colors like white and are designed to offer less privacy. Because of their translucent nature, they are perfect for allowing more natural light into the room which is great for eco-friendly or energy saving practices. Modern bedroom curtain designs tend to be in neutral shades, but you can still opt for brighter colors to make your windows the focal point. These curtains offer privacy hence will be long enough to cover the windows and are made from thick fabrics. Kitchen curtains are an essential part of decorating your kitchen hence the way you frame the windows will determine how your cooking space looks and feels. 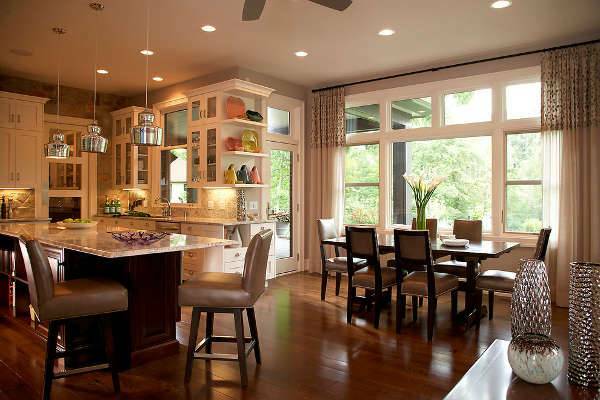 Short curtains are best for windows located next to the sink while floor length kitchen curtains are for windows that are near the dining area. Modern curtains can work to separate a space, especially in small rooms. Use a long bright curtain to divide the space in case the living room and bedroom are in the same single room. A solid bright colored curtain will give a luxurious look to the room. Make your windows the focal point of the room by adding modern floral curtains. 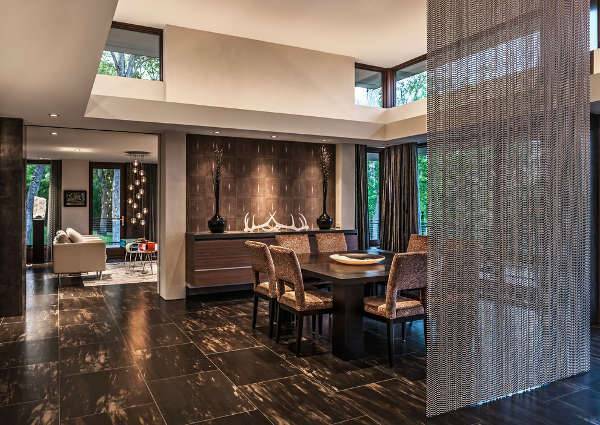 Bright and larger patterns will create a fresh effect and an illusion of a bigger space. Just do not forget to consider the color of the wall which should complement the curtains. Window curtains with simple geometric shapes or angular patterns will make a room feel modern and fresh without looking too trend conscious. 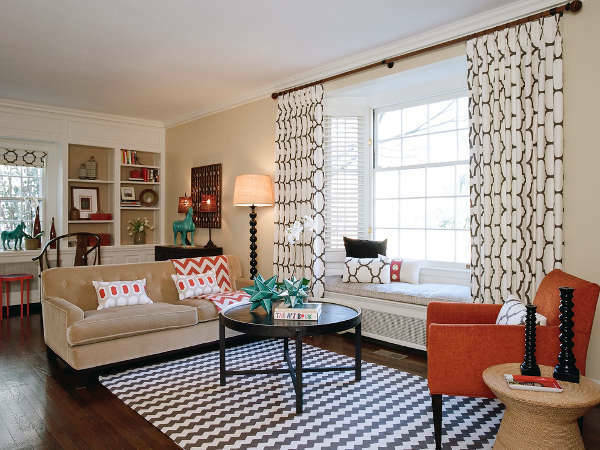 To avoid overwhelming the room, choose curtains with the same pattern design. Semi-sheer curtains will let in natural light while offering a bit of privacy. Dining room curtains are important as the furniture you choose. One of the easiest decorating tricks is to select curtains that match with the tile colors, tables or seat cushions. Silks and velvet fabrics are ideal for a formal modern look while cute semi-sheer is ideal for adding softness. 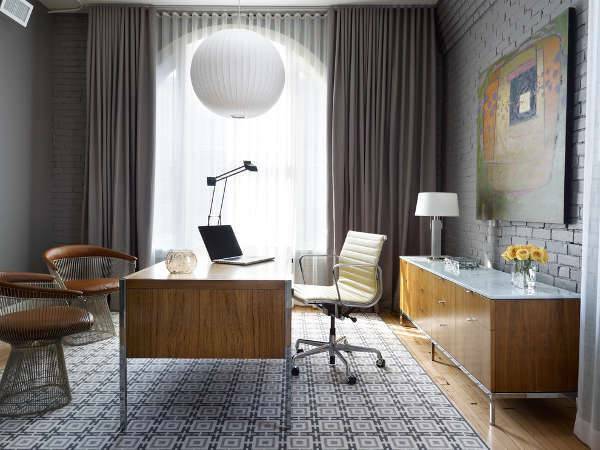 Modern curtains are suitable for offices with modern furniture or for adding a trendy look to a simple space. Neutral colored curtains with pleats add a decorative effect as well as create balance with the available desk and chairs. 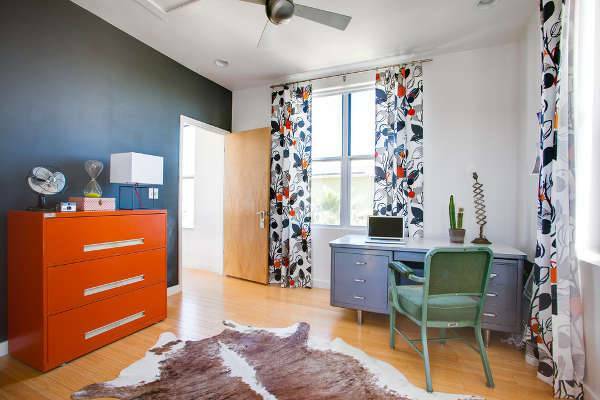 Pretty curtains can also add a softness in an office with sturdy furniture. Modern lace curtains are made specifically for decorative purposes. They give a classic look and still add elegance. They let in ample light making space appear larger and brighter. Their pattern adds a royal detailing while softening the room. Modern curtains are practical as well as provide a decorative effect to a home. They serve the many needs of different rooms including finishing touches. They are so versatile that you can choose from lace, sheer, sash and gathered. While any curtain you choose should depend on your taste, for bedroom curtains always consider privacy and personal style.